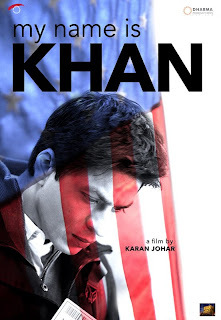 Indian director Karan Johar is directing his next film called "My Name Is Khan 'after' Wake up Sid. 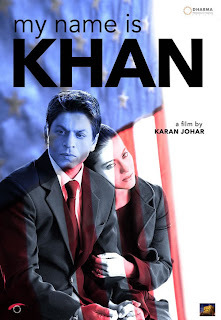 Shahrukh Khan and Kajol will be in a principal role in "My Name Is Khan '. The film is scheduled to start shooting in mid - 2008. The film is scheduled to release the early 2010. "My name is Khan" with six people bearing Muslim names are viewed with suspicion and forced to undergo extra security checks at international airports six years after 9/11 attacks. Shahrukh Khan and Kajol Devgan are paired as husband and wife. Shahrukh will play a Muslim who gets wrongly detained on a flight because his name, Khan. The authorities believe he is a terrorist. After seven years, Shah Rukh and Kajol would once again appear on the silver screen together. Shahrukh Khan and Kajol are preferred to couple the Bollywood screen. Shahrukh Khan and Kajol have based films at the box office - Karan-Arjun, Dilwale Dulhaniya Le Jayenge, Kuch Kuch Hota Hai and Kabhi Khushi Kabhi Gham. Shah Rukh and Karan Johar are not always successful Jodi, which has been proved with the big failure of Kabhie Alvida Na Kehna at the box office last year. But as they say, failure should not stop you from trying. Thus, SRK and Kajol have teamed up again for their next company called My Name Is Khan. The film is especially important because it marks the reunion of Kajol and SRK on the silver screen after a gap about 8 years. While Kajol was somewhat undecided before signing for the film, but as they say, all's well that ends well. 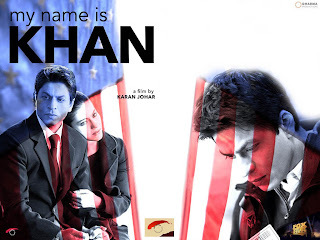 Kajol is my all time favourate and according to preview 'my name is khan' is going to be rocking like DDLG!!!! Today night at 10 pm My Name Is Khan's trailor is going to be launch in 70 notations.